Product #20785 | SKU DAD6010 | 0.0 (no ratings yet) Thanks for your rating! Designed for connecting DPA mics to transmitters and power supplies. The DPA DAD6010 is simply an adapter that features the DPA standard Microdot connection and a Switchcraft TA4-female connection. 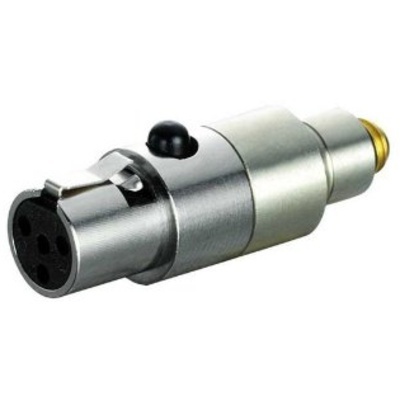 The adapter is designed for connecting DPA microphones to transmitters and power supplies featuring TA4-male connections. Among the compatible transmitters are the Shure U1, UT1 and SC1 series and TOA WM4300 series transmitters.